A crisp and sweet cocktail, great for a night in with the girls. Featuring our delicious Barefoot Pink Moscato for a great party taste, this cocktail will be your best partner in crime for this end of year festive season. 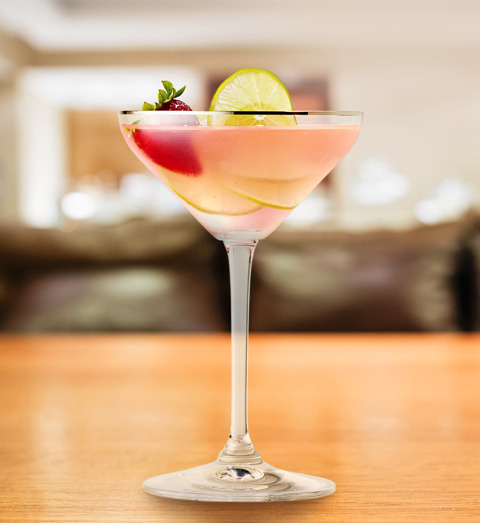 Combine Barefoot Pink Moscato, soda, lime juice and simple syrup in cocktail shaker with ice. Shake to blend and chill. Strain into chilled cocktail glass. Garnish with floated lime wheel or fresh strawberry. Raise a toast to your girls!